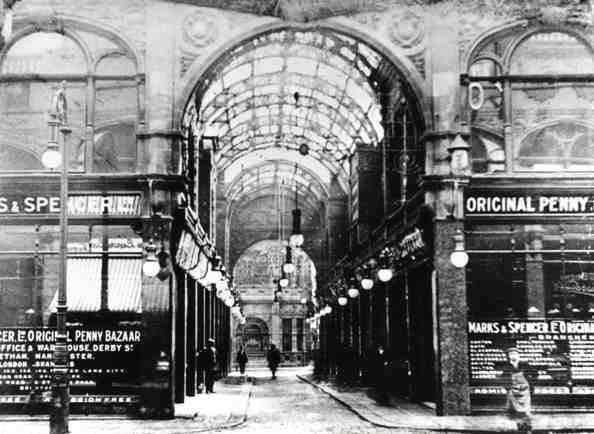 Marks & Spencer will open its heritage and coffee shop at Kirkgate Market to customers at 10am tomorrow ( Friday, March 15), bringing M&S back to the place where the famous brand started as a penny bazaar in 1884. The stall has been launched as part of the first anniversary celebrations of the M&S Company Archive opening to the public through the Marks in Time exhibition. The stall will promote the exhibition to the public and include archive imagery from M&S’ 129 year history, as well as selling coffee and small archive items such as mugs and sweets from its location beside the famous M&S clock in the 1904 building of Kirkgate Market. As part of the first anniversary celebrations M&S will also unveil a new Heritage Trail in partnership with Leeds City Council on Saturday. The self-guided walk will start at the Kirkgate stall and finish at the M&S Company Archive, taking in places of historic interest for the company around the city. We are very excited about giving customers the chance to experience the origins of Marks & Spencer right inside its original setting at Kirkgate Market. “M&S has deep historical links to Leeds, so the Heritage Trail is a unique opportunity to learn more about the origins of the company nearly 130 years ago and its connection to various parts of the city centre from 1884 through to the present day. We have had a lot of support from people locally in Leeds about the launch of the new stall and we are very excited to be bringing M&S back to its birthplace. I am looking forward to welcoming customers old and new on 15th March and showcasing the history of the company. · The opening of a temporary exhibition for the best items that have been donated to the M&S Company Archive over the last year. Items in the exhibition include a 1947 Marspun dress, produced under the ‘Civilian Clothing 1941’ utility label as wartime clothing rationing continued and previously owned by Mrs Joyce Edwards of Wolverhampton. For more details of how to get involved in the one year anniversary, visit http://marksintime.marksandspencer.com/events/upcoming-events/a-fabulous-first-year!/. The M&S Company Archive has a collection of over 70,000 historic items and was unveiled at the University of Leeds’ Michael Marks Building in March 2012. It charts the development of the iconic British retailer from its roots at Kirkgate Market to the present day. images are credited to the “The Marks & Spencer Company Archive”.